“The event” to be at this year at the El Saber del Sabor Festival, according to anyone I talked to, was the dinner held at Origen restaurant on Dec 1st, 2014. Chef Rodolfo Castellanos hosted Pablo Salas of Amaranta restaurant in Toluca, Mexico and Alex Stupak from Empellón in NYC. Chef Alex Stupak has been on my “news feed” almost once a week lately, so I was excited when it was announced that he was attending the festival. I was overjoyed when I found out that he’d be cooking in Chef Rodolfo’s kitchen, where I’ve spent a bit of time over my past few visits to Oaxaca. 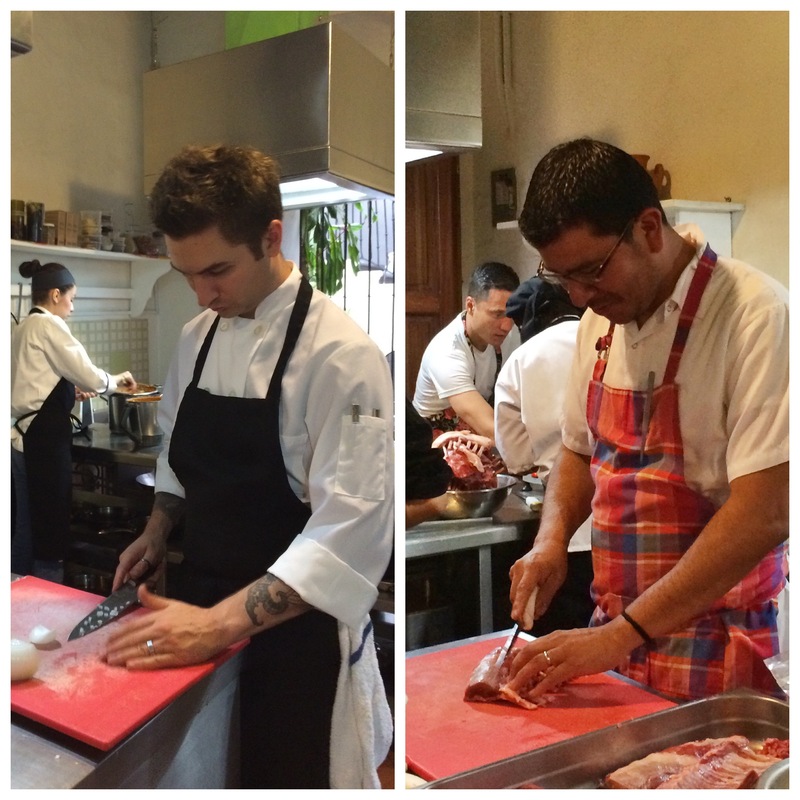 If you’ve read my other posts on Oaxaca, you know that Chef Rodolfo is one of my favourites. He is a talented chef, genuine, warm and has great energy. I’ve learned so much about Oaxacan cuisine from Rodolfo. I was also excited to return to Origen because when I’d visited last year, Rodolfo was getting ready to expand his restaurant to the upstairs space. One of the reasons why I love Origen is for its cozy feel, so I admit, I was worried that expanding upstairs into a much larger space would result in losing some of that intimate feeling that I liked so much about the restaurant. I stopped by Origen the afternoon before the big dinner to drop off some things I brought down for Chef Rodolfo from Vancouver. While I was there, he brought me to the kitchen where I was introduced to Chef Stupak, who was busy doing prep for the event. I’d done my research on Chef Stupak before coming to Oaxaca. Everything I’d read had led me to understand he was driven, serious and supremely talented. Chef Grant Achatz of Alinea has referred to Stupak as “the most talented pastry chef in America”. High praise from a chef whom I admire tremendously. I loved the stories I read about Stupak’s desire to open up a Mexican restaurant to give himself the opportunity to “learn more about Mexican cuisine”. Before I had the chance to see Chef Stupak in the kitchen, I already appreciated his drive and focus. Chef Stupak working on prep. Chef Rodolfo “pretending” for me because I wanted to get this side by side photo. I think this was lamb for Chef Stupak’s lamb tartare which I’d see the next evening. As was the case with the Casa Oaxaca event, my group had purchased tickets #1-5 for this event. 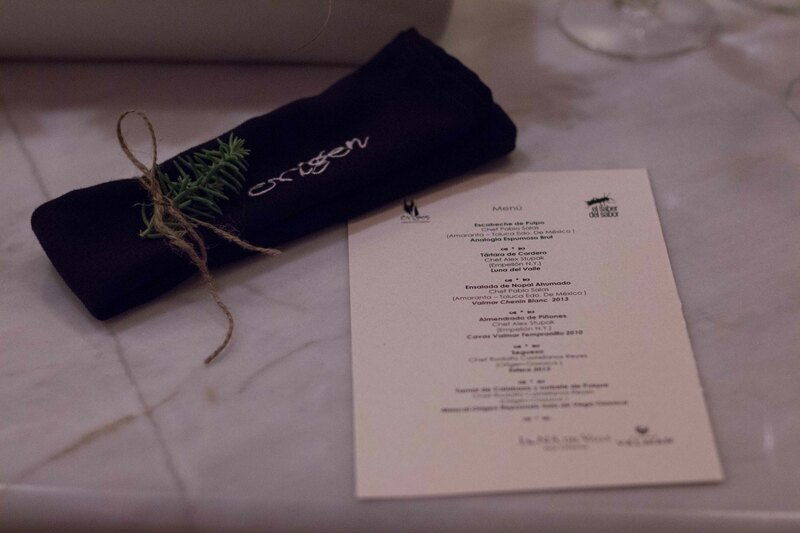 We wondered as we walked to Origen if the dinner would be as empty as the Casa Oaxaca one. I stressed a bit worrying if this dinner would live up to the expectations and hype and above all the “high price tag for a meal in Oaxaca”. It mattered a bit less in my mind for the Casa Oaxaca dinner where there were only 2 of us dining, but for this one, there were the perceptions of me plus 4 others to contend with. No need for me to worry, about anything in fact. As I’ve come to expect with anything that Chef Rodolfo is involved in, the dinner was amazing. From the moment we walked into Origen’s door, we were treated as special guests and led directly to the upstairs front dining space which is casually elegant. I noticed again as I looked around the room that we were seated amongst the “who’s who” of the evening so I knew I’d have my fill of people watching through the evening as well. Chef Rodolfo came out before the meal to say hello and we were told that service would begin shortly. As we waited we were offered a glass of mezcal to start. Perhaps it’s because we were treated as welcome guests, or perhaps it’s my familiarity in Chef Rodolfo’s high standards, but as I sipped away, I already knew that this meal would surpass the one I’d had at the Casa Oaxaca event a few nights before. I asked Chef Rodolfo if I could go down to the kitchen during service and he thoughtfully responded “of course”, but asked that I wait until after I was served my 4th course, as by then he was sure that the Chefs and kitchen/service staff would be in their groove. The 6 courses of the meal were broken up, with each chef taking 2 courses. 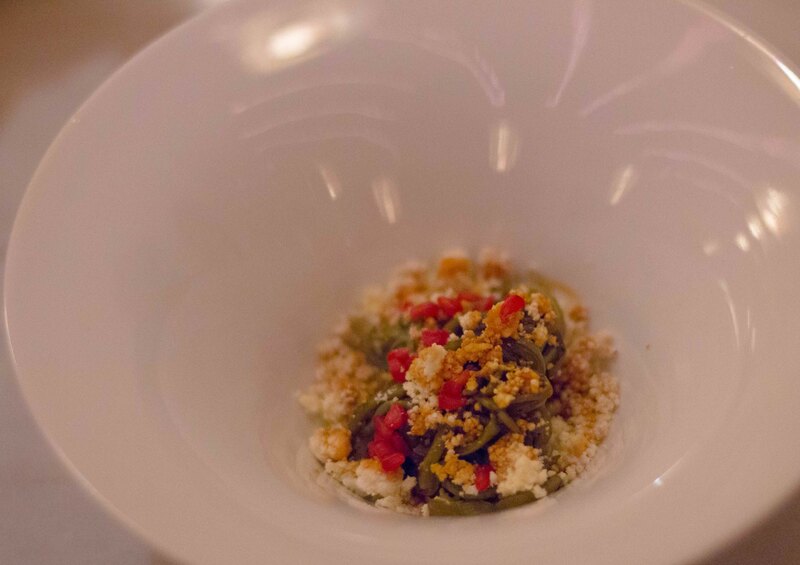 Like the Casa Oaxaca dinner, each course was paired with wine, this time by Luna del Valle and Cavas Valmar and served by Diego Rodero of La Castellanos. 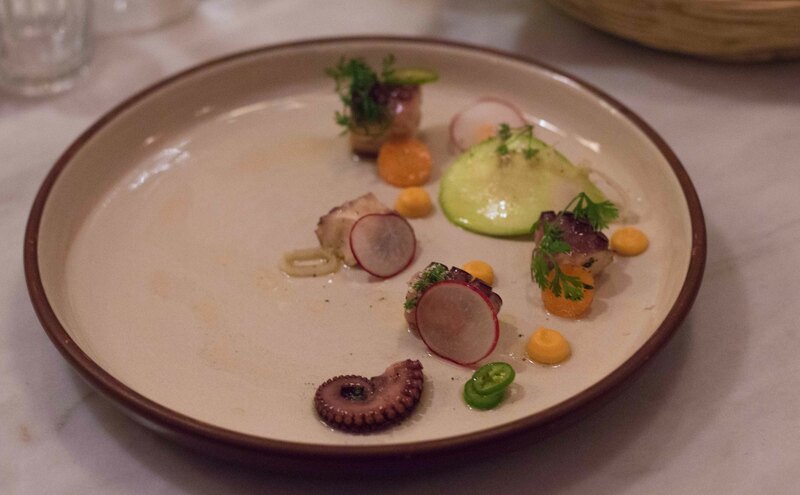 Esabeche de Pulpo (P. Salas) – Lightly pickled octopus with sweet squash puree and radishes was bright and lively. I would have enjoyed a full plate of this, but the restraint on the dish was appreciated considering the many dishes to come. I love to eat with my eyes before the food ever touches my palate and this octopus dish pulled me in before I could get to my first bite. 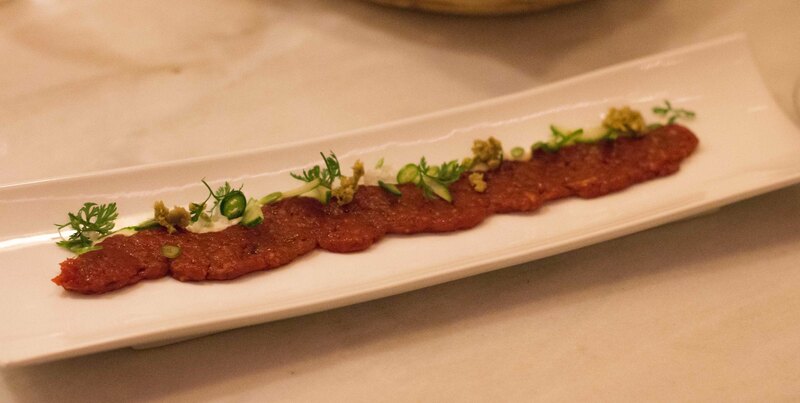 Tartara de Cordero (A. Stupak) – Lamb tartare flavoured with Pasilla Oaxaquena topped with olives, cucumber and onions. I’d read about Chef Stupak’s lamb tartare before this evening’s dinner. I know that knowing things in advance can spoil the surprise of a dish, but I appreciated knowing that this dish was his interpretation of a Oaxacan lamb barbacoa (bbq). 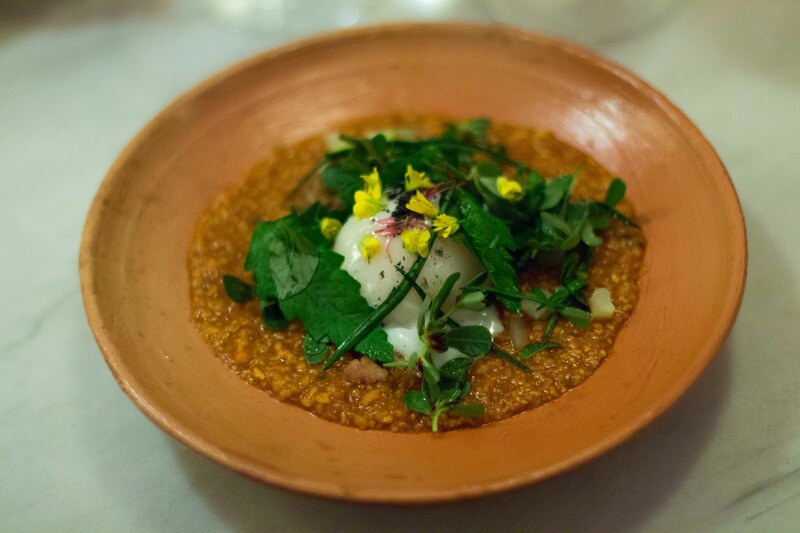 But rather than the lamb being coated in spices and baked underground, Stupak combines the flavours of barcacoa into this raw dish. It wasn’t modern in the sense of “modernist cuisine”, but certainly a revelation. I started to realize that while you could get caught up in how seriously focused Chef Stupak seemed to the point that is could be construed as standoff-ish, but there is a whimsy and creativity to his cooking, coupled with his extraordinary technique that tells a story beyond his seriousness. I appreciated this vegetable focused dish. Chef Rodolfo told me that Chef Salas brought homemade pineapple vinegar and the smoked nopales from Toluca. Almendrado de Pinones (A Stupak) – Pine nuts in almendrado sauce with chorizo. 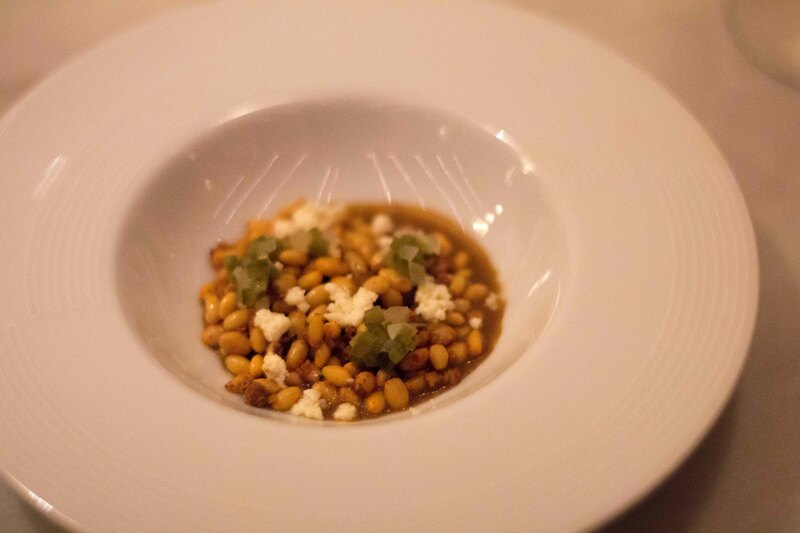 I was sent into a tizzy when the pine nut dish hit the table. I have suffered many times from a condition called “pine mouth”. Because of this, I’m very careful not to eat pine nuts from unknown sources fearing they are from China. I ask whenever I see pine nuts on the menu if the server can tell me the origin of their pine nuts. The servers at Origen were unable to tell me at first, so I asked if they could find out. As I waited, I had a few small bites of this dish. When the server came back, and reported that the pine nuts were “purchased locally, origin unconfirmable”. Usually that would make me stop eating, but with this dish, I couldn’t stop. I resigned myself to the possibility of living with the taste of metal in my mouth for weeks because everything about this plate made me happy. I remembered the segueza with pork ribs we made with Chef Alejandro Ruiz in the Origen kitchen a few years back. The base the stew was similar in its heartiness to the one we made, and had great textural corn flavour, but the sous vide egg on top made me swoon. I’m a sucker for a perfectly runny egg and Chef Rodolfo’s was luscious. I was enjoying the meal so much, I realized that I had eaten 5 of the 6 courses and that I was past the time I was allowed to go down to the kitchen to check out the action. It also worked out as perfect timing to step away from the table because I was getting very full. I watched at the side as the Chefs finalized plating their dishes. There were so many people in the kitchen but everyone seemed to move around as if they were part of a well-choreographed dance. It seemed I got there in time to see their groove. 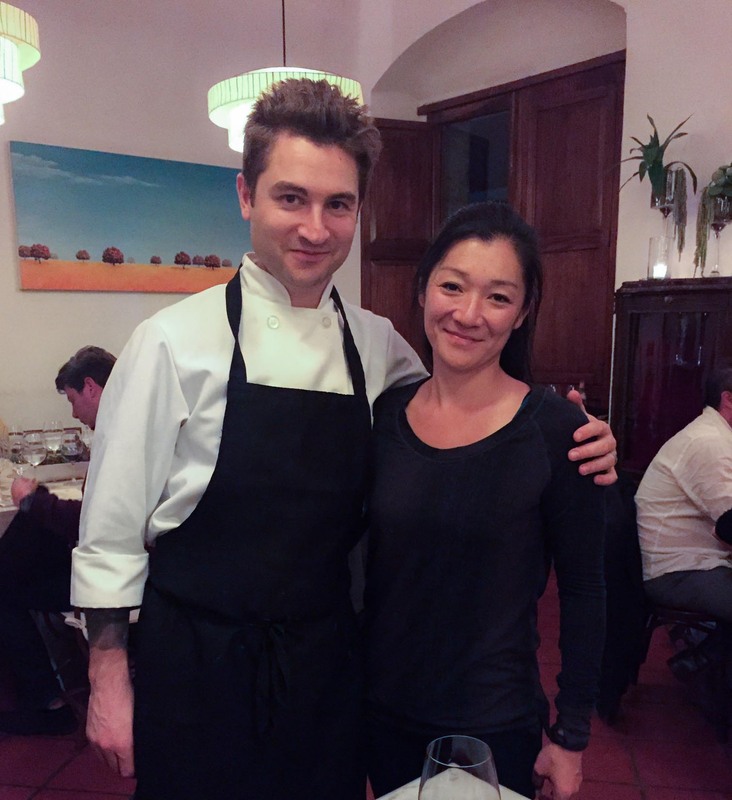 I was able to have a moment with Chef Stupak to talk to him about his dishes. I told him that when my table saw “lamb tartare”, there was the immediate reaction of dubious assumptions. People couldn’t fathom the thought of raw lamb and you could sense that it was the least anticipated dish of the night. I told him that I was secretly excited because I love tartare anything so I was an easy sell, but was happy to report that in fact the whole table raved over the dish. The one I was more curious to find out about was the pine nut dish. We discussed my “pine mouth” condition with Chinese pine nuts, (which he’d never heard of), and then went to tell me that Chef Rodlofo had picked up the nuts from the market and he thought they were local. I crossed my fingers on that one, (upon research afterwards I learned that pine nuts are quite prevalent in Mexico). As we spoke, Chef Stupak stayed very aware of the dishes going out in front of him. 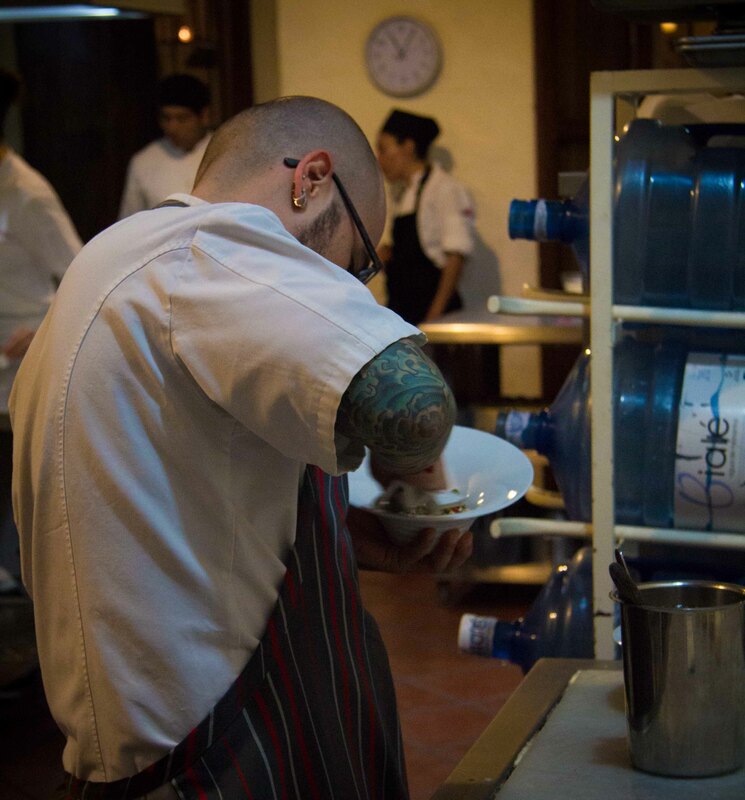 At one point, he noticed that a few of Chef Salas’ plates were about to be served before the edges were wiped clean. He let Chef Salas know, and quickly it was corrected. I love attention to detail at this level. As he wiped his dishes down, I was able to chat quickly with Chef Salas. I asked him what he hoped to gain by attending events such as the El Saber del Sabor festival. He relayed, that when “Alejandro (Ruiz) asks you, you come”. He said though that getting together with so many Mexican chefs was a great opportunity to learn more about Mexican cuisine. Although Chef Salas went to culinary school in Mexico City, he said they learned the French classics, he learned about Italian food, even some Asian but very little about Mexican gastronomy. 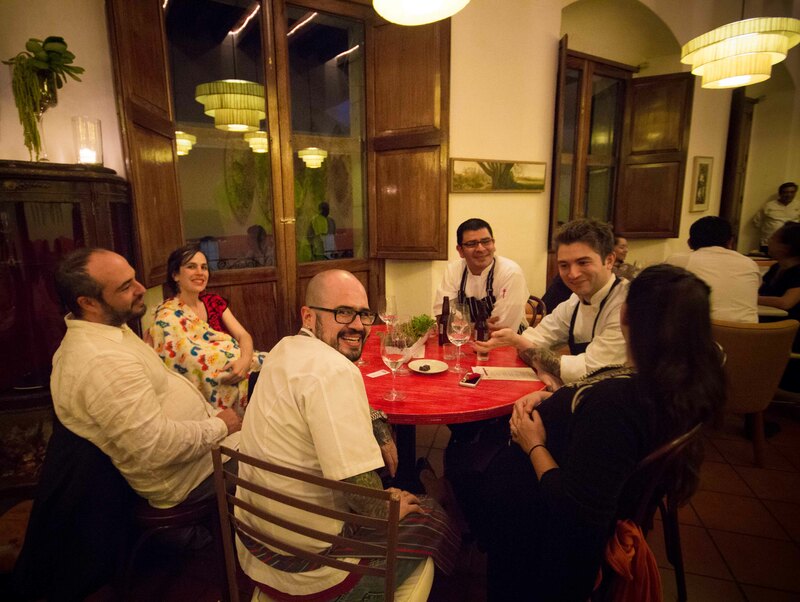 It was through events like this, being able to spend time with other Mexican chefs, discussing techniques and eating their food that gives these chefs the opportunity to learn more about what is going on with their own cuisine. 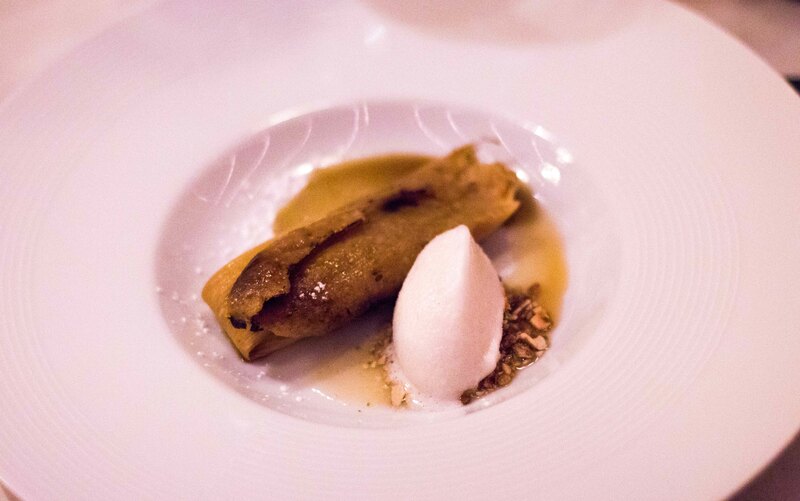 I told Chef Salas that although I thought every dish in the evening was very good, both of his were delightfully delicious and I appreciated the simplicity and clean flavours. He seemed pleased with that, as he said with his own cuisine, he was heading in a direction of “more natural, less fat”. Heck, if you can do that and still put out flavourful and satisfying dishes, then you’re a genius in my books. I went upstairs to see if I could catch Chef Rodolfo in the upstairs kitchen but was sidetracked by the last dessert course. Before I could taste for myself, my group was already raving to me how amazing this dessert was. Even with high expectations, this tamale did not disappoint. 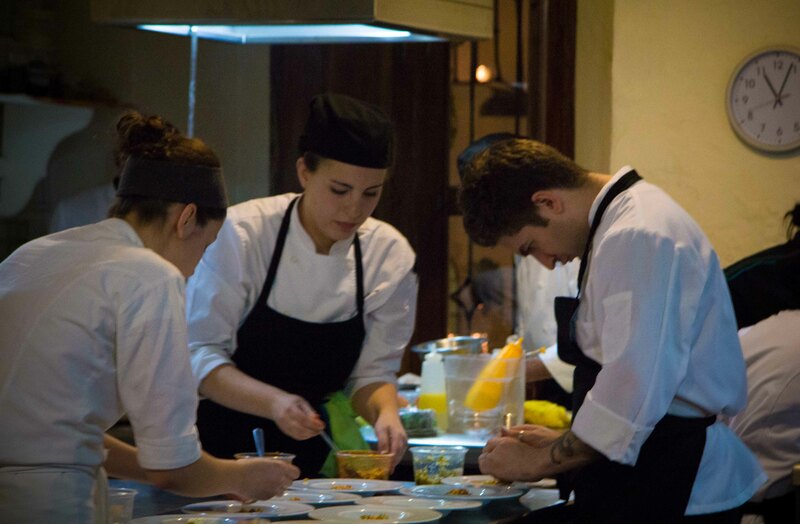 In an email from Chef Rodolfo after the fact, he mentioned that “he was scared about doing the dessert, when he had a master in the kitchen for desserts (Alex) but he guessed it turned out well”. I love Chef Rodolfo’s humility. “Turned out well” is an understatement. This dessert was Wow. At the end of the dinner, the Chefs came out to say hello to all of the diners. 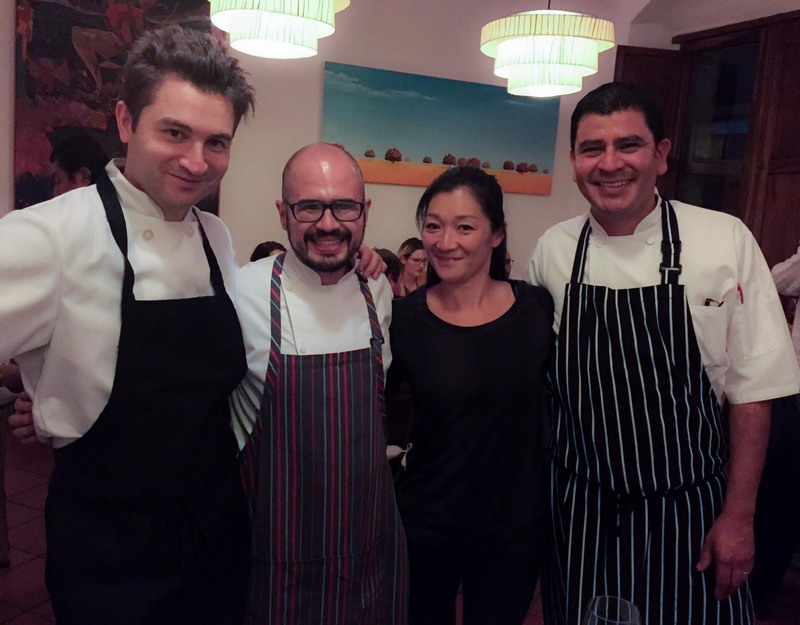 When Chef Stupak came to the table, we were able to talk to him about how he was enjoying Oaxaca and what he was taking away. He discussed the amazing colours and flavours of the Oaxaca and when asked, why he chose to open a Mexican restaurant, he responded it was all about doing something new, how it was more about reinterpreting rather than recreating. I emailed Chef Rodolfo after the meal with questions on his thoughts of the event. I was curious to know how the chefs were matched up at the festival and to learn more about the 2 chefs he’d worked with on this meal. From his response, I learned that “the festival matches the chefs up based on their schedule”, although I garnered that since Chef Rodolfo is close to Chef Alejandro Ruiz, who is the head of the festival, there’s less randomness in the match-ups. 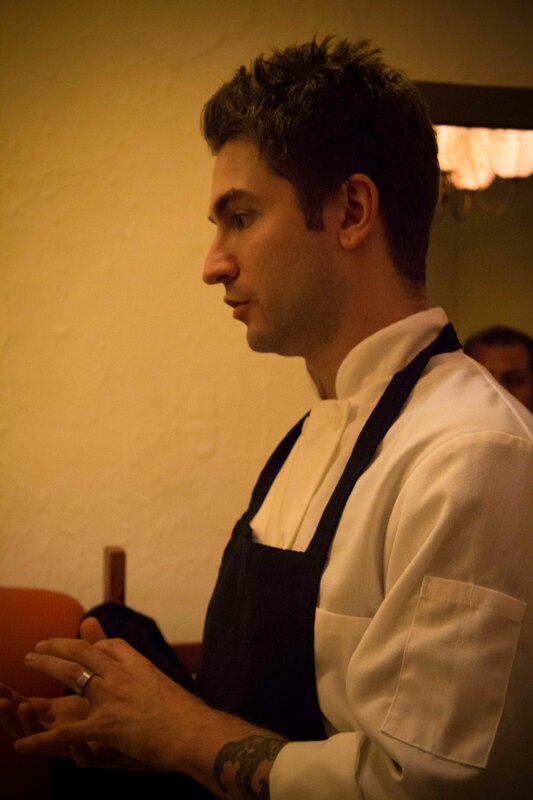 Chef Rodolfo had never met Alex Stupak before, so I was curious to know his thoughts. Rodolfo responded enthusiastically, “he’s insane, great, very disciplined and very serious about his cooking”, (there’s that serious word again). I also asked what Rodolfo was most surprised about after meeting Stupak and his comment was, “his love and respect for Mexican food. He’s always thinking Mexican”. 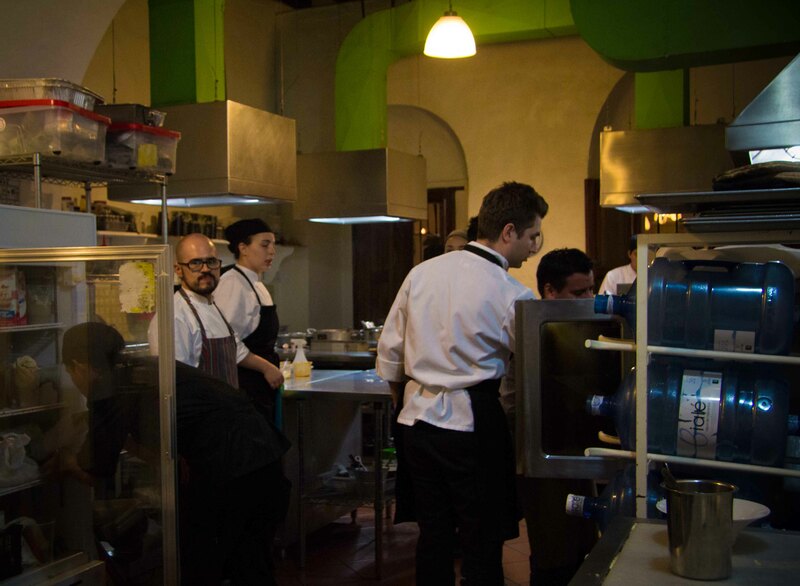 Kudos to all 3 chefs for presenting my favourite meal in Oaxaca that year, perhaps my favourite of 2014.